Raid71 will have a Blade Runner inspired print available soon titled, “Don’t Walk” via Bottleneck Gallery. 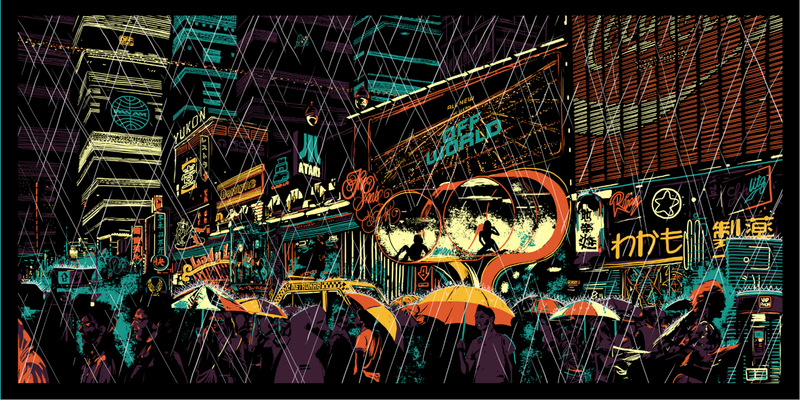 It is a 36″ x 18″ 6-color Screenprint, limited edition of 100, and cost $45. On sale Friday, November 7th at 12pm Eastern (9am PST) HERE.